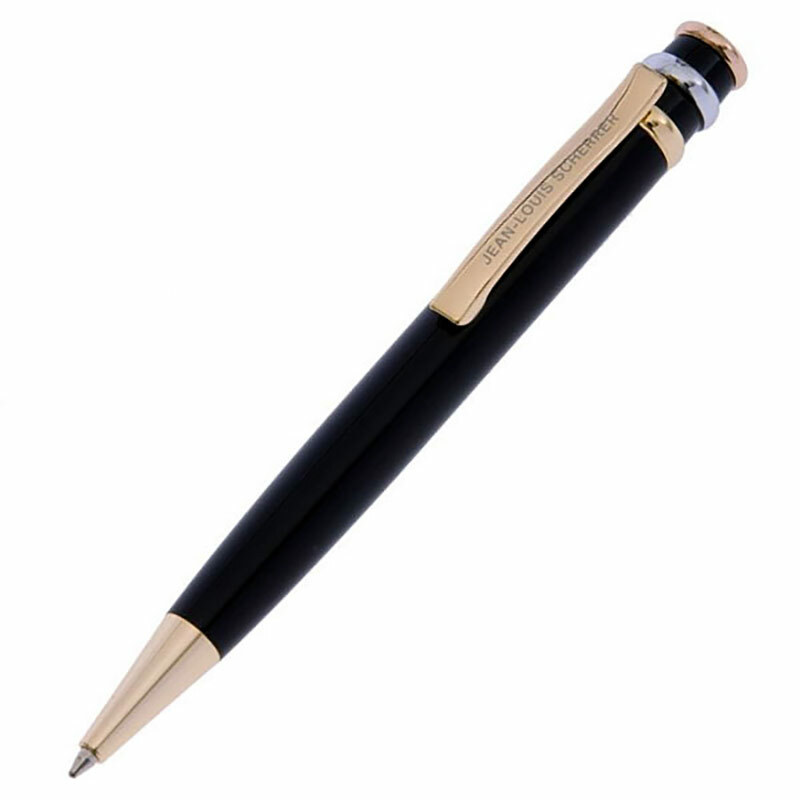 This gorgeous ballpoint pen from designer brand Jean-Louis Scherrer features a shiny black body with gilt plated fittings and three decorative rings at the top - two gold and one silver coloured. These stylish pens make outstanding promotional or corporate gifts and are supplied complete with an attractive presentation case. These pens are offered with free text and logo engraving of the cases. This means you can customise these luxury corporate gift pens with your corporate or brand logo, event or achievement details, or any inscription you choose at no extra cost and without concern for the size of the engraving area.